Whatever situation you are in, one of our qualified lawyers will be happy to take on your case. Whether you need a car crash attorney or a truck accident lawyer who is experienced with commercial trucking laws, we are equipped to help you. We can even provide you with a wrongful death attorney in the event that one of your loved ones has died in an accident. It is vital to contact an auto accident attorney as soon as possible after a crash. 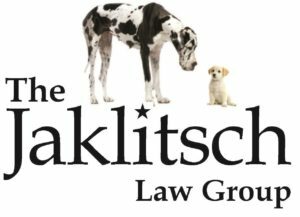 Even if you’re unsure about whether or not you need a lawyer, contact The Jaklitsch Law Group to schedule a free consultation. We will review the details of your accident and advise you on the best decisions to make moving forward. Our offices are located in Upper Marlboro, MD, and we serve Clinton, MD as well as the surrounding areas. If you are located close by, call us at (866) 586-6079 or fill out the form at the bottom of this page. One of our qualified car accident attorneys will get back to you as soon as possible.